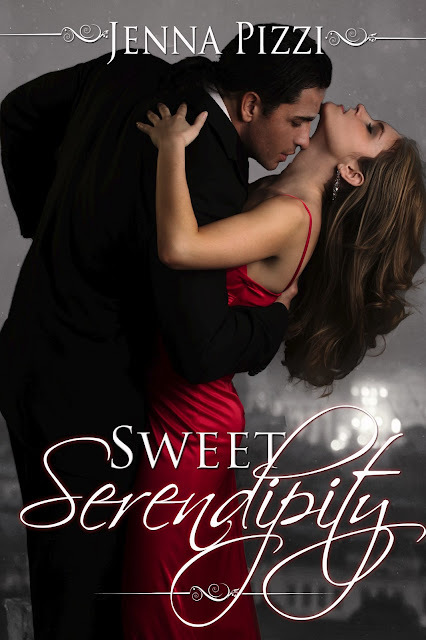 Sweet Serendipity was a wonderful book. I love how the title has to do with my favorite part! I've always had a thing for artists, and I love that Ethan created a gallery just for Becca. The book starts out on a sad note; Becca finds out her husband is cheating on her. I honestly find this part really sad. The further you went into the story, the more you learned about their relationship and their family. I enjoyed how we slowly learned more and more about each and every one of the characters. The book made you feel genuine emotions for the difficulties and gains that they went through. IF you are looking for a realistic romance, this is definitely the book to read. Jenna Pizzi did a wonderful job! I give this book 5 out of 5 book-a-saur paws! Sometimes you need to let go of the past in order to open your heart to love again. Not every marriage is perfect. Rebecca knew she’d have to make some sacrifices. What she didn’t realize is that it would cost her, her heart. After nearly twenty years of marriage and one heart break after another, will she find the strength to let go and move on? Will she allow herself to love again? Rebecca lived everyday with the same routine of caring for the kids, the house, and her husband Jack. Until one night she finds Jack with another woman, and Rebecca’s world falls apart. With the encouragement of her two closest friends, Rebecca realizes that she can find the happiness she deserves. Ethan is an artist who lost his will to paint. When he meets Rebecca, he once again finds the inspirations he had been longing for. He knows that she has built walls around her, but he’s determined to break them down brick by brick to prove to her that she is worthy of being loved. This is a heartwarming story of friendship, love, and overcoming tragedy to find that there is always a new beginning. “Becky, you’ve got to know that it’s his enthusiasm that keeps me going. If he still believes that we can work it out, then I believe that we can work it out. Do you understand? As long as he has hope, then so don’t I,” Jack told her. Jack downed his glass of wine and stood up. Rebecca started to cry. His words were cutting deep. He was telling her all the things that she wished he would have told her when it mattered the most. Jack got down on one knee. He held her hand in his and looked deep into her chocolate eyes. because his work always took top priority to him. She cried for all the empty holidays when it felt as though he never wanted to be there. She fell to her seat and held her head in her hands. This book is one of my favorites. I LOVE how Jenna Pizzi brings "real-life" circumstances, problems, and illness into her books. Your emotions will get kidnapped and you will feel everything the characters do. I'm sure everyone knows someone or is the someone that can relate to this story.